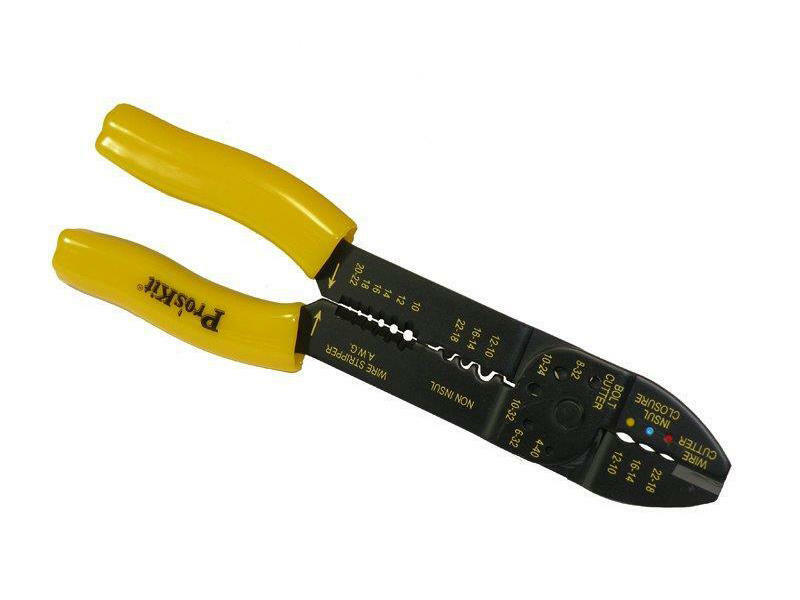 Suitable for crimping AWG 10 to 22 (red, blue and yellow) insulated terminals. Also included in the tool is a wire cutter, wire stripper, bolt cutter and position for crimping ignition terminals. Works from 10 AWG to 22 gauge AWG wire.